A firearms licence in Canada is known as a Possession and Acquisition Licence or PAL. There are 3 classes of the Possession and Acquisition Licence. This class includes most rifles and shotguns. • Handguns with a barrel length of 105 mm (4.14") or less and handguns that discharge .25 or .32 calibre ammunition, except for a few specific ones used in International Shooting Union competitions. • Rifles and shotguns that have been altered by sawing or other means so that their barrel length is less than 457 mm (18") or their overall length is less than 660 mm (26"). • Converted automatics, namely full automatics that have been altered so that they fire only one projectile when the trigger is squeezed. Only non-restricted and restricted classes are available to the general public. Enroll in the Canadian Firearms Safety Course (CFSC) and the Canadian Restricted Firearms Safety Course (CRFSC) if you wish to acquire restricted firearms (You can enroll in only the Canadian Firearms Safety Course if you only wish to acquire non-restricted firearms). Both courses include a written multiple choice and practical examination (written and practical examinations must be passed with a minimum 80% grade). 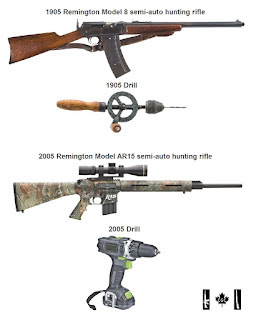 • Evolution of firearms, major parts, types and actions. • Operating all common firearm actions. • Basic Firing techniques and procedures. • Basic care of firearms. • Responsibilities of the firearms owner and basic regulations. • Safe storage, display, transportation requirements. You are provided with textbooks by the instructor at the beginning of each course and this is often included in the course fee. You can also download the textbooks in PDF format if you wish to study for the courses in advance. Course video companions are provided below for further study. Note: The photo is not the same as Passport photos and there are specific instructions included with your application forms. Bring the instruction sheet with you to a professional photo shop in case they are unsure. There are also instructions for how to provide a photo you have taken yourself. Your photo must also be signed by a guarantor as per the instructions in the application. • Course results with minimum 80% grade. Note: This varies per province and Ontario requires that the test results first be certified by the Chief Firearms Officer (CFO) of the O.P.P. Due to this requirement, Ontario applicants must first wait to receive their test results in the mail from the CFO before mailing their application to the Canadians Firearms Program. The mailing address is included on the front of the application. It is advisable to use a Canada Post shipping method with tracking. The tracking number will provide you with a date it was delivered. Now the waiting begins. The minimum mandatory waiting period for processing of a new Possession and Acquisition Licence application is 28 days from when the Canadian Firearms Program receives it. However it can actually take much longer and the Canadian Firearms Program has a stated policy of 45 days for processing. You can call the Canadian Firearms Programs from 9:00am to 5:00pm at 1-800-731-4000. Processing of your application will include a number of background checks. Generally applications for a Restricted PAL will take longer. Restricted PAL applications may also include phone interviews conducted by the RCMP with you, your provided character references, spouse and ex-spouses. An example of the interview questions would be "why do you want to own a firearm". Your answers to these interview questions are important. For example self defense is not a valid reason for owning firearms in Canada. Your only valid reason for wanting a Possession and Acquisition Licence is target shooting or hunting. Mistakes made on the application form can also greatly increase the processing time. Once your application has finished processing, your new Possession and Acquisition Licence will be issued. Your will receive the card along with the original identification documents you provided though certified Canada Post mail. Purchase firearms and join one of Canada's Gun Clubs.